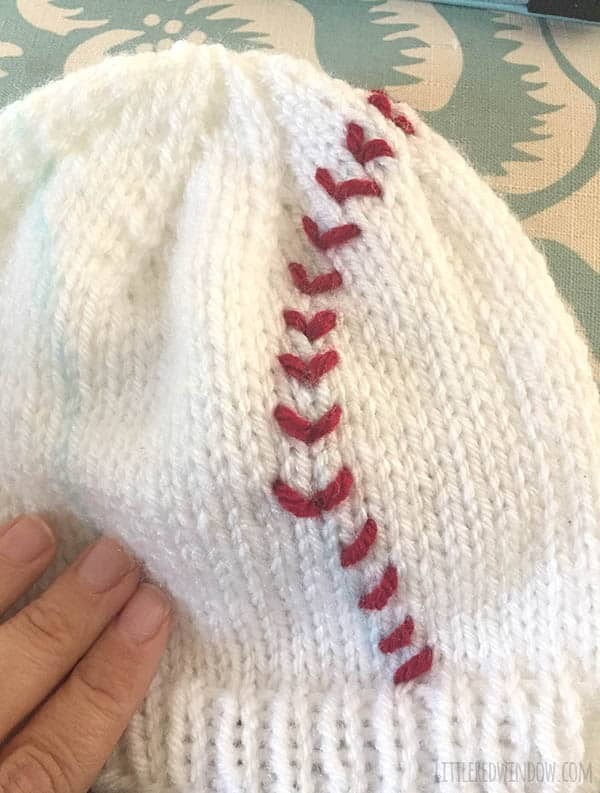 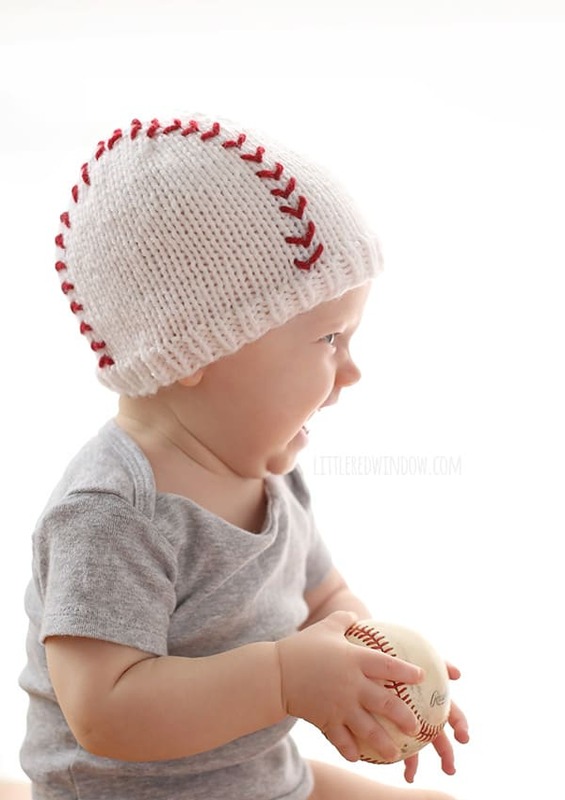 Knit up an adorable hat for your little slugger with this cute free baseball baby hat knitting pattern! 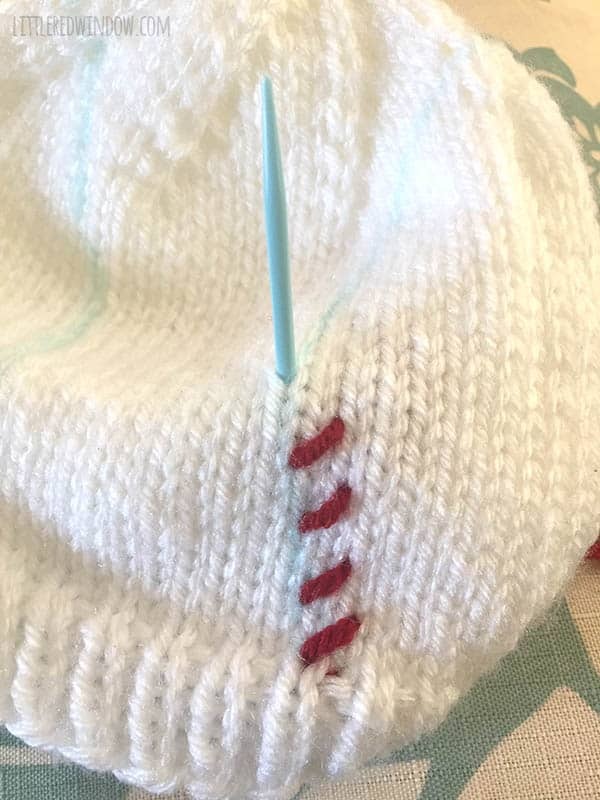 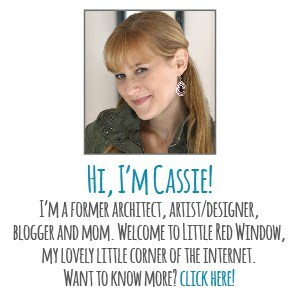 Using long-tail cast on, cast on 72 stitches onto your circular needles with the white yarn color. 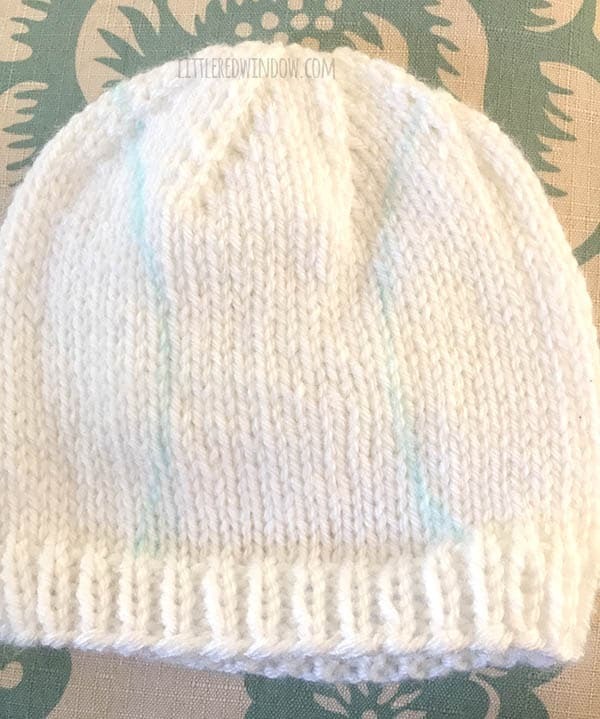 Join to knit in the round and k1, p1 in a rib stitch for 5 rounds. 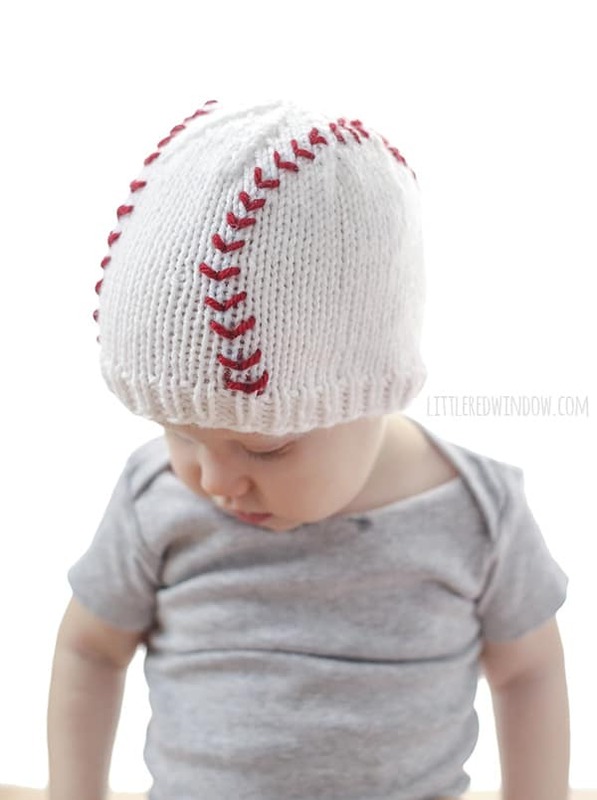 The PDF printable also contains instructions for sizes 0-3, 6 months, 12 months and 2T+! 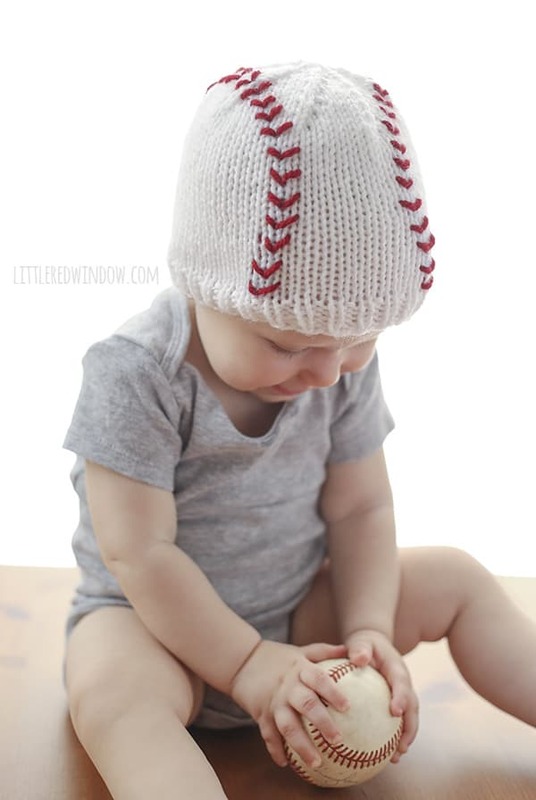 Thank you for your great ideas I give them for my local hospital preemies ward free hopefully to help them help others.